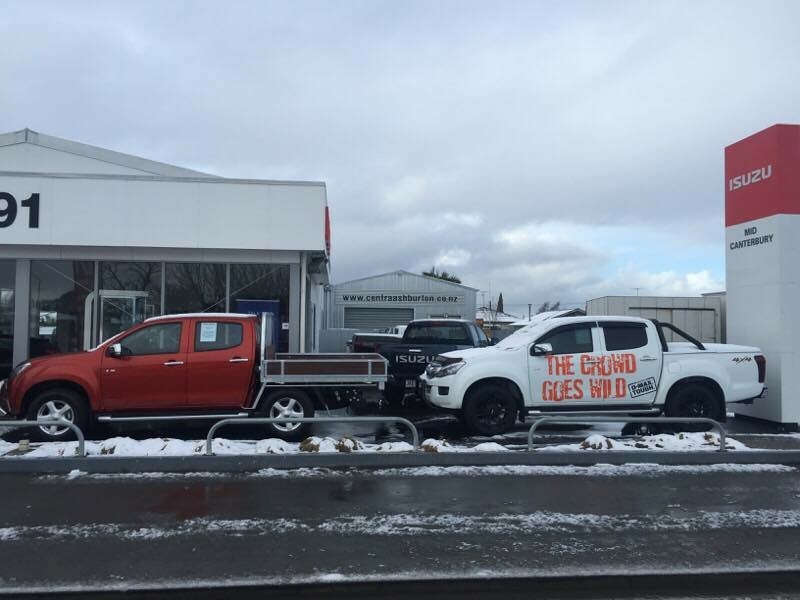 With two branches located in both Ashburton and Timaru, we are the Automotive Dealership representing the Isuzu brand in Mid and South Canterbury. We have a proud history of exceptional customer service delivered by our professional, knowledgeable & friendly team - and what a team it is. 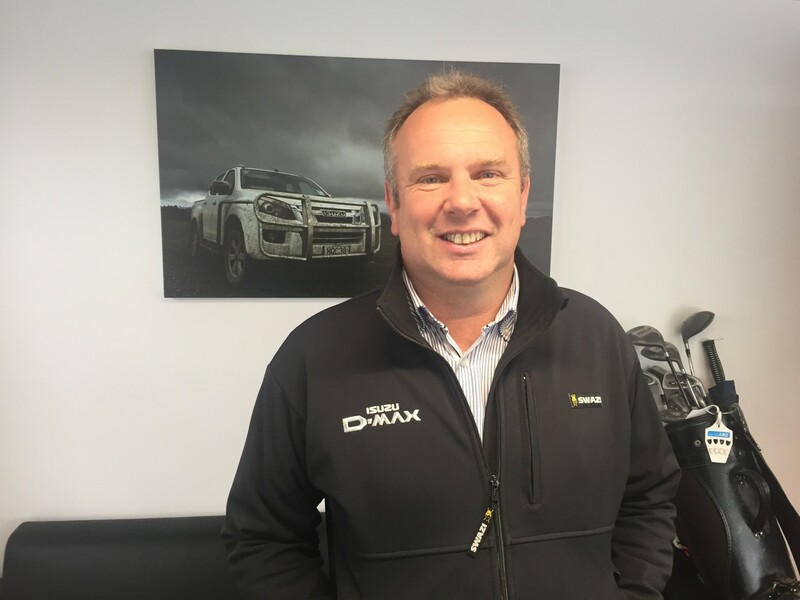 Amos is the dealer principal at our Timaru branch. He was born in Tauranga, and now lives in Timaru with his wife Anna, daughter Sophie, and twin boys Heath and Myles. With Ella the dog and a pet rabbit named Snuggles… this makes for a busy household! The Wheeler family thoroughly enjoy heading away to a little piece of paradise we call ‘Otematata’. Here they can get away and enjoy time with family and friends, take the boat out onto Lake Benmore, and of course have a few cold ones. 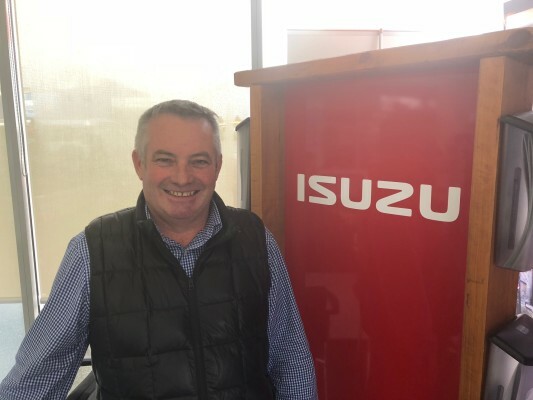 Greg is the dealer principal at Isuzu Mid Canterbury. He is very passionate about the Isuzu Brand and truly believes that Isuzu suits the Mid Canterbury region. 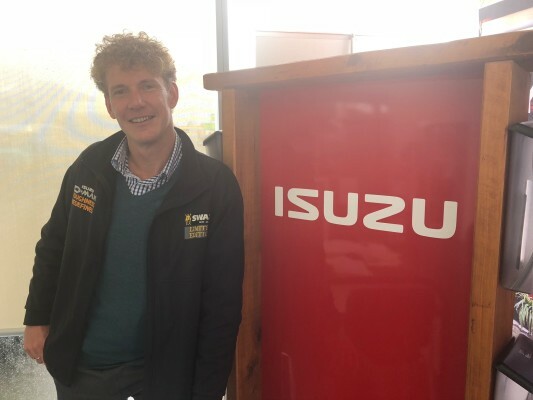 He has been fortunate enough to go through the Isuzu factory in Thailand, so he has a real inside knowledge in to the build quality and toughness of Isuzu. Number one to Greg is the customer, with him always going the extra mile to ensure the Isuzu purchase is a pleasurable one. Away from work he is kept busy with his 3 daughters and partner Rochelle, they enjoy weekends away with family and friends, boating, camping and just having a good time. 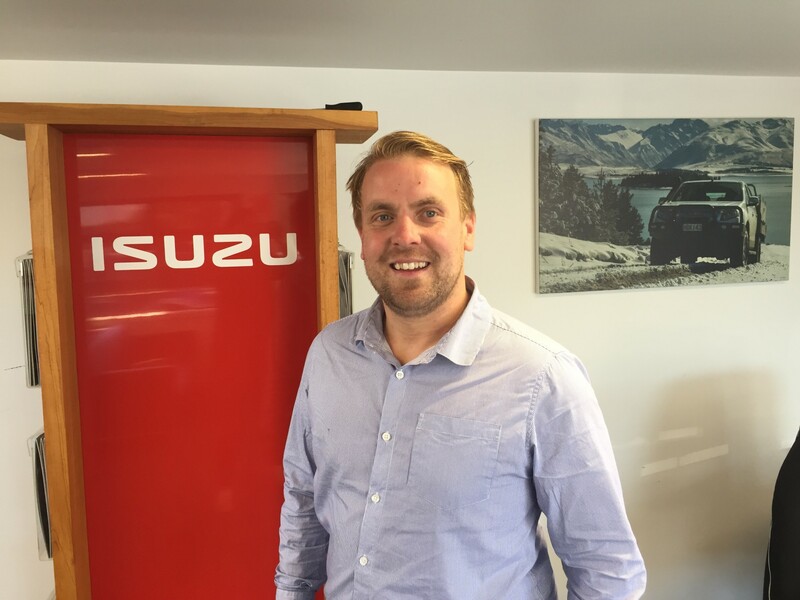 James has been in the motor industry for over 13 years and can't imagine himself doing anything else. He loves the daily contact with all our customers both in the dealership and out in the field. When not at work, James can generally be found working around his property in Otaio, playing with his two children and chasing hens off the deck. In addition to being avid motorsport fans, the Wilsons love water skiing. A perfect weekend for them involves bundling the children into an MU-X, making use of its DVD player and towing the boat to Lake Benmore. “Dobbo” is a true customer service guru. 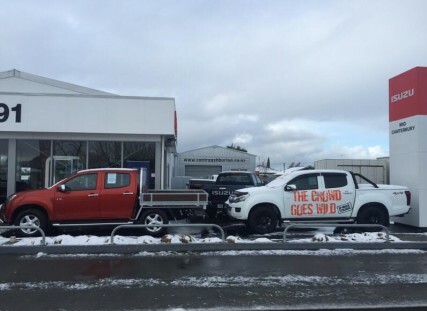 Not only is he a sales consultant here at the Timaru branch, he also plays a big part in first impressions, and has a great impact on our already excellent customer service reputation. He is also very passionate about the Isuzu brand, what it will do for the customer and where it will take them. He relates well with our customers from the rural sector and has a genuine desire to help people get what is best for them. Out of work, Stephen loves spending time outdoors with his wife Lisa, and two girls Dayna and Macey. The Dobson’s are always keen for a road trip and they love to get away whenever they can. Camping, swimming, mountain biking and trail biking are just a few of the many things Dobbo enjoys. After the realisation set in he wasn’t going to make it as an All Black (he didn’t even come close)… Caleb thought he would try plan B.
Caleb is a huge people person and spent several years as a youth worker but a few years ago a serendipitous event inspired him to give sales a go, and he loves it. With a brand he believes in, a great customer base, in the town he loves and grew up in, Caleb reckons he found just about the perfect job for him. Caleb loves meeting new people and learning new things, so please feel free to come and say hello and share a yarn with him. Jayden is responsible for New and Used sales and assisting customers with their finance needs, he has extensive product knowledge and is happy to take the time in helping you with the purchasing process. Jayden has been selling cars with us since 2012 and he was the car groomer previous to that, so he has been a part of the family for some time. With his friendly approach and easy going attitude, Jayden can help you along with your purchase every step of the way without the hard selling pressure. When he is not at work Jayden is spending time with his Fiancé Tiffany, and their two boys Lachlan and Elliott, enjoying the outdoors with hobbies including Hunting, Fishing, Bush walks and BBQ’s. 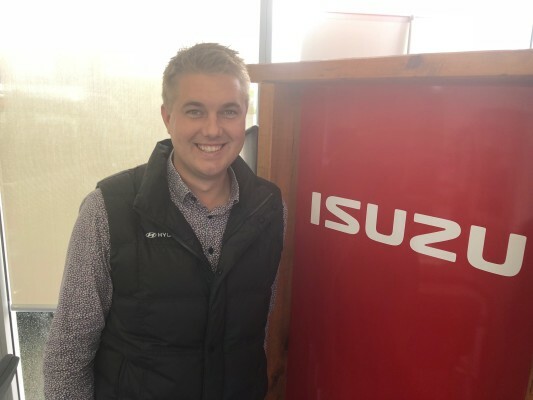 Curtis made the move into the car industry after a long career in retail sales and management, Isuzu Mid Canterbury is the second dealership he’s worked at and he is really enjoying the change of brands. He loves the variety a day can bring and selling people what will be their new pride and joy. Outside work he and his wife are kept very busy by their 3 young children who are a great help in their large vegetable garden. They enjoy weekends away in their caravan and firing up the pizza oven for friends and family. 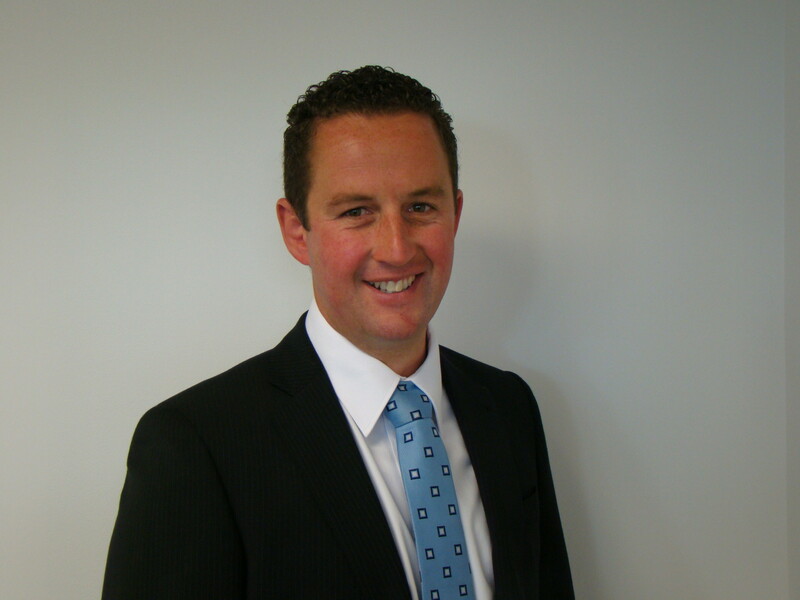 Curtis looks forward to meeting new customers and tailoring a deal and finance package to suit.